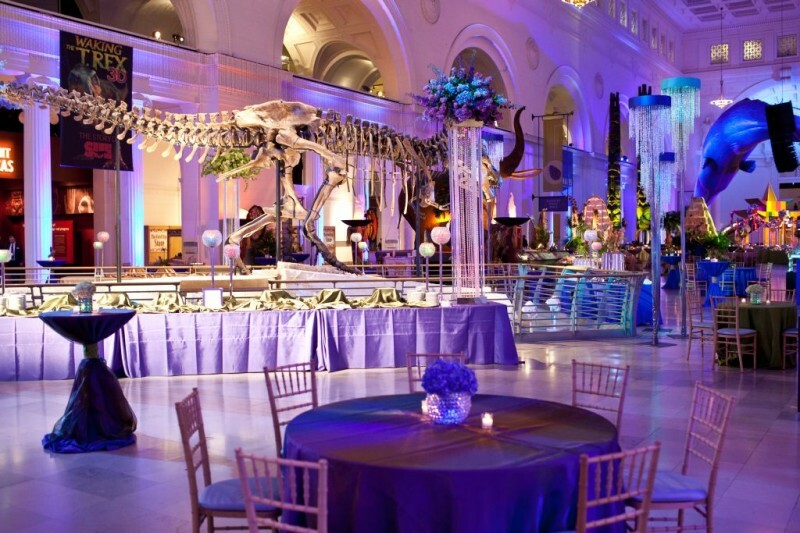 Located less than a mile from downtown Chicago, The Field Museum is one of our favorite Chicago event venues. With a collection of over 23 million artifacts and specimens from all over the world, The Field Museum is a unique setting full of rich history that offers guests the opportunity to explore, discover, and learn. On The Scene has produced a number of events at The Field Museum, and we have experience working with the Special Events at The Field Museum staff to create unforgettable moments. We can work with you to coordinate, design, and produce a stand out event that guests will talk about for years to come. If you’re interested in hosting a corporate event, conference, or meeting at The Field Museum, On The Scene will be your behind-the-scenes partner, guiding you through the process of choosing the right space for your event, and transforming the space to match your goals, corporate culture, and brand. The Field Museum has a variety of meeting spaces that can fit any number of guests and are perfect for a board meeting, conference, panel, or product launch. Each of The Field’s meeting spaces are fully equipped with the latest technology capabilities, including: video conferencing, 3D and surround sound, webcast, registration services, video presentations, and audience response systems. If you’re planning a corporate dinner, gala, or fundraiser, the Field Museum also offers a variety of other special event spaces that are perfect for a more formal event. The Stanley Field Hall and Balcony features vaulted ceilings, natural light, beautiful architecture, and of course, SUE, the largest Tyrannosaurus rex fossil ever discovered. The Stanley Field Hall seats up to 1,500 guests, and can fit 7,500 for a reception, and On The Scene has produced a number of corporate events in this space. 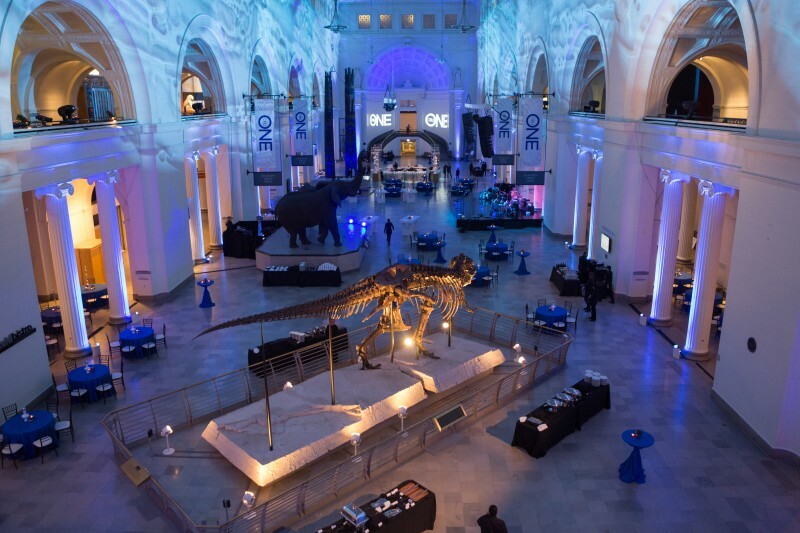 On The Scene has produced a variety of events at The Field Museum, from corporate dinners and galas to recognition events and private parties. One of the most notable events we’ve produced was the Everything is Dead 50th Anniversary Party celebrating the 50th anniversary of legendary band, The Grateful Dead. This exclusive event was held on the Southeast Terrace of The Field Museum. We also produced the Official Dead Head VIP Pre-Party, where dedicated fans were able to mingle on The Field Museum’s Northeast Terrace, while listening to Uncle John’s Band, and enjoying craft beer from Two Brothers Brewery. To browse more photos of events we’ve produced at The Field Museum, view our gallery. If you’re interested in hosting an event at The Field Museum and need help with planning and implementation, contact On The Scene today!